This week is National Cyber Security Awareness Week. National Cybersecurity Awareness Week is an Australian Government initiative held annually in partnership with industry, community and consumer groups and all levels of government. The aim of the Awareness Week is to help Australians better understand cybersecurity risks and the simple steps they can take to protect themselves and their children online. For the 2010 National Cybersecurity Awareness Week more than 150 public and private sector organisations helped to promote cyber security messages through online activities and events around the country. Information on how to stay safe and secure online can be found in any Sutherland Shire Library or by visiting the Stay Smart Online website. The winners of the Aurealis Awards, 2011, were recently announced at a glittering ceremony at North Sydney's Independent Theatre. The awards were selected from around 600 entries across thirteen categories. They represent the best of Australian fantasy, horror and science fiction as judged by a panel of their peers. 2011 NSW Premier's Literary Award Winners Announced! The winners of the 2011 NSW Premier's Literary Award were announced last week at the Sydney Opera House. These awards were established in 1979 and were Australia's First Premier's Awards. Prize money for these awards range from $5000 - $40 000 (that's a great incentive to write a best seller). Notable winner's included Alex Miller, who took out both the Christina Stead Prize for Fiction and the People's Choice Award for his novel, Lovesong; Malcolm Fraser and Margaret Simons, winners of both the Douglas Stewart Prize for non-fiction and Book of the Year for Malcolm Fraser: The Politcal Memoirs; and Libby Gleeson, who received the Special Award for her contribution to children's literature. Have you read any of these winners? And do you agree with the judges? Play Award: Patricia Cornelius - Do not go Gentle . . .
To celebrate Library and Information Week, the Wiggles have made this very fun and very wiggly community service announcement about the importance of Libraries and reading. A 2006 study found that 46% of Australian's struggle with basic literacy levels. Bringing your children to the Library is a great way to introduce them to books, reading, technology and lots of fun. We hold free storytime and rhymetime sessions, school holiday activities and a whole host of events and resources to introduce children to the joys of reading. It is free to join the Library and our doors are open to all members of the public. Now you and your Kids can spend a whole day here. Check out our information for Kids and Parents to find out what the we can do for you and your children. We hope you have a very wiggly day and we look forward to seeing you in the Library. 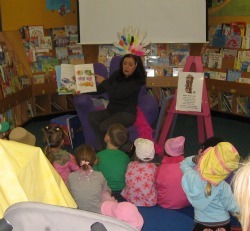 Much fun with feathers was had by Engadine Occasional Care when they visited Engadine Library for National Simultaneous Storytime. At 11.00 am on 25th May, "Feathers for Phoebe" by Rob Clement was read out aloud to children across Australia to celebrate National Simultaneous Storytime for 2011. 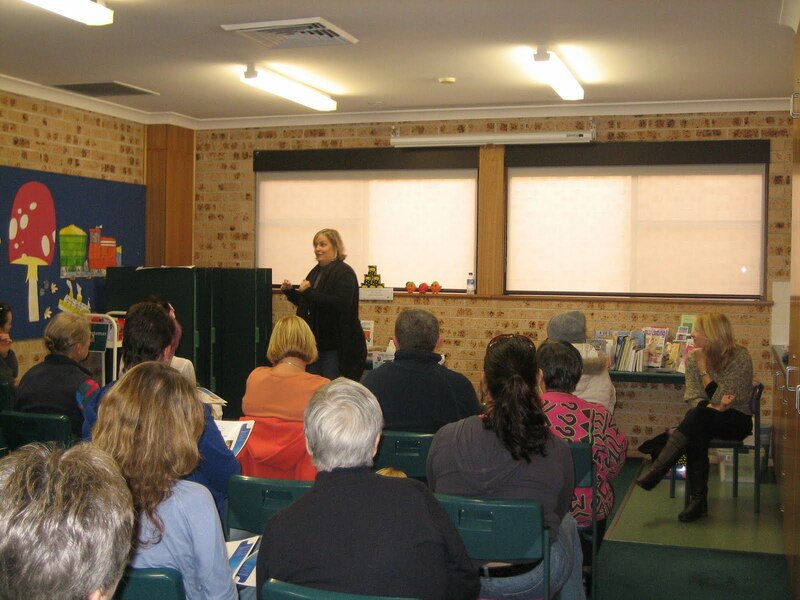 Engadine’s Session was part of our Library Week Celebrations. Check the library website to see the regular Storytime session times. This May is the inaugural International Chick Lit month. This has been created by Chicklit Club, Chick Lit is Not Dead, and Novelicious teams, to celebrate this genre. So what is Chick Lit? It’s modern, its smart and its fun. It’s fiction written by women, for women. Sure, shoes, shopping and fashion do feature in some of the stories, but not all. The books reflect womens lives today, covering a diverse range of timeless themes and issues that women of all ages and walks of life can relate to. These include stories of struggles and success, family dramas, friendship, romance and relationships, often told in a light hearted and fun way. Join in the fun this month and read a book from this list of recent releases by Australian authors. “Chanel sweethearts” by Cate Kendall ("Armani angels", due out in June). “Getting even with Fran” by Christine Stinson (“It takes a village” out soon). Do you have a favourite chicklit novel? Feel free to share it in the comments. If you would like to find and share some other great reads, join the 2011 Read It reading challenge, a monthly twitter reading group. This months theme is "grrlpower"! 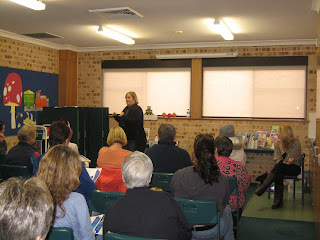 Engadine Library was proud to host local author and Child & Family Therapist Kerry Moss. Kerry is the author of the "Jitters" series which explains the nature of anxiety and strategies that can be used across developmental stages of children. The talk was very informative and greatly appreciated by the capacity audience. To see future activities planned for the library check out the Sutherland Library website. Changing technology has certainly had an impact on books, with e-books and e-readers, the devices used to read them, becoming increasingly popular. Does this mean the end of the printed book? It doesn’t have to, as print books and e-books are appropriate in different situations and have different advantages that may make one or the other more appealing to the individual. Here are some points to consider about each format before you get reading. Don’t you just love the look, smell, texture and even the weight of a book? These elements provide sensory appeal to the print book and add to your reading experience. From a purely aesthetic point of view, there’s nothing like a shelf of books. Do you enjoy the serendipity of browsing through books at the library, not knowing what hidden treasures you may find? You don’t need to be computer literate to read a print book. In fact, you don’t need a computer or an e reader to read a print book and you won’t reach a crucial part of the story… only to get a flat battery. The initial outlay to purchase an e reader can be costly. However, don’t forget it’s free to join and borrow books from the library- whether in print or digital form. Some people find print books easier to read than the digital version, however, with continuously improving technology, e- books are becoming easier to read. You can download a book anywhere, anytime (providing you have internet access). You don’t have to wait until the library opens before you can get reading. Never again will you have tired arms from carrying armloads of books (well up to 30) home again. The e-reader has the ability to store a number of books on the one device. E-Books don’t burn or mildew and pages can’t get torn or become tattered (but I’d be very careful reading one in the bath). Depending upon the e-reader device, you can change the font size, type and colour to make the e-book easier to read. Some even have text to speech software to allow the text to be read aloud. Interactive or solitary reading experience? For some, reading is a solitary experience that they treasure, an opportunity to relax, curl up with a good book and get lost in the story. For others, the digitalisation of books offers an opportunity to make reading an interactive event. E-books can contain video content, a dictionary, hyperlinks to related information, and can be easily searched. In regards to the environmental question of which method of reading is greener? The debate is still on. In any case the most environmentally friendly way to read; print or digital is to borrow from the library. Are you considering buying an e-book reader? Or would you just like to learn more about e-books? There are a range of different e-readers available on the market; you may like to consider the following factors when making your choice. • Is it compatible with the books you want to download? • Does it offer the features and benefits you require? To find out more about e-readers and e books, come along to one of the library information sessions being held during Library & Information Week, May 23-29 2011. Bookings can be made online, or call your local library for further information. Recently I attended a taping of the First Monday book club. The session I attended was a special presentation exploring the future of the book. Did you know that the biggest market for Kindle readers (according to Richard Watson) are the 55 years+? Apparently teens prefer to use their iphones! Further to this, according to Amazon, e-books are now consistently outselling their print counterparts. So what does this mean to the future of books? There were three guests on the panel, these being Richard Watson, Richard Flanagan and Narelle Harding, each representing a different point of view. The program raised lots of interesting points about both print and digital formats, noting that each have pros and cons and are appropriate in different situations. Here are some of the highlights. Richard Watson, an author of books about future trends, started the discussion, offering interesting insights into the different ways print and digital books are read and perceived, explaining how this may affect the reading experience. Does the introduction of e-books mean the end of the print book? The debate is still on. Many people, including Jennifer Byrne, have an emotional attachment to print books. Her points include the fact that they have survived for thousands of years throughout history and that they are a tangible legacy of past eras. Its also hard to beat the serendipity of browsing a shelf of books and finding an unexpected treasure. Narelle Harding is a huge fan of the e-reader and ebooks, saying they provide “more power to the reader!” She feels that any technological change in society causes an uproar and this will pass as people get used to it. She believes that it does not matter what type of “container” the book is presented in, as long as we are able to access and read the story. She also likes the idea of readers being able to collaborate with the authors on the works produced. The impact of digital books on the publishing industry were raised, such as loss of jobs in the book selling and publishing industry, citing less writers would be able to make a living from writing, which would mean less choice of titles to read. All agreed that e-books have many positives. They are light weight and portable and you can store many books at once on them in one small device. They are an inexpensive way to read and the font size can be easily adjusted to suit. But there are a lot of models out there- with different publishers favouring different brands, which could in turn limit what you can download onto your particular brand e-reader. So what do you think? Will print survive along side the pixels? “The future of the book” is screening on ABC, 17th May, 2011 @10.00pm. 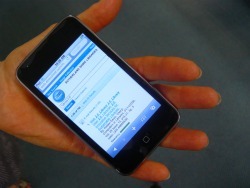 Read newspaper, journal and magazine articles directly from your iphone or ipod touch with the new EBSCO for iphone app! Now you can do your research or reading on the go, straight from your mobile phone. To download the EBSCOhost for iphone app, just go to the EBSCOhost database via Sutherland Shire Libraries website, scroll to the bottom of any page, and click on the link for EBSCOhost iphone/ipod touch application. If you don't have an iphone, not to worry. EBSCO also have a mobile friendly interface for all smartphones! Try out the new iphone app today and tell us what you think. Have your say on the future of the Library with our online Community Survey. At Sutherland Shire Libraries, we believe in continuous improvement and what better way to do this than to ask you, our trusted members, what we can do. We will use the information you provide to continue to deliver quality services and identify areas where we can do better. We are particularly interested in the use of our online services and your interest in Library events. 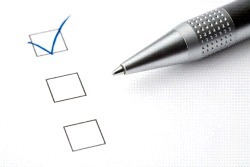 The survey will run until Tuesday, May 31st 2011, so why not take 10 minutes out of your busy day and tell us what you think about your local Library. 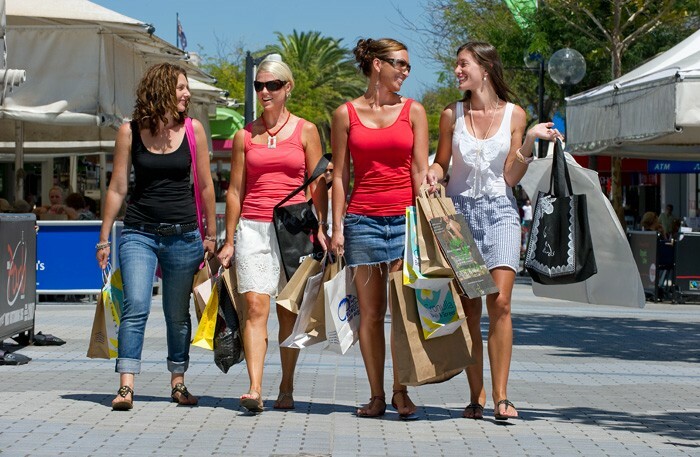 Are you looking for the perfect gift for mum this Mothers day? Does your mum love books and reading? If so, this year instead of a traditional gift of chocolates or flowers, show mum how much you love her and appreciate all she does for you, with the gift of an e-reader. An e reader offers mum the gift of choice. She can choose the ebooks she would like to read, and can download these anywhere, anytime from the library website. There are several different leading brands and models of e-readers available, each with different features and benefits to suit every mum. To make sure you give mum a gift that allows her to borrow books for free, click here to find e-readers that are compatible with the library network. If you’re not still not sure which e-reader would be best for your mum, or if you would just like to learn more, let the library help! Sutherland shire libraries are holding information sessions about e-readers and ebooks during Library & Information Week, May 23-29, 2011. Bookings can be made online, or call your local library for further information. 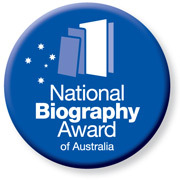 National Biography Award 2011 - Shortlist Announced! The shortlist for the National Biography Award 2011 has been announced. This award was established in 2011 to encourage high standards of writing biographies and autobiographies and to promote the genre. It is administered by the State Library of NSW on behalf of its benefactors Dr Geoffrey Cains and Dr Michael Crouch AO. 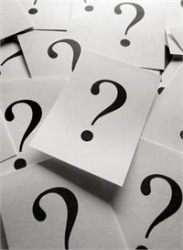 Each year the winner receives $20 000 in prize money so if you have a story that needs to be told why not write it and enter the 2012 competition? The awards are announced at a special presentation at the State Library on Monday 16th May. Arguably Australia's most influential political journalist, Alan 'The Red Fox' Reid covered Australian politics from the 1930s to the 1980s. During his career he was both a chronicler of, and a player in, Australian politics.In this book, Ross Fitzgerald and Stephen Holt take us into a Machiavellian behind-the-scenes world of recurrant plots, crises and leadership challenges, and show how it was possible for a skilled journalist to help shape both public perceptions and actual outcomes of political power plays. This tells the story of Walter Burley Griffin and Marion Mahony Griffin. Walter's most significant achievement in Australia was the design of Canberra. His wife Marion, while lesser known to the Australian public was also an architect, poineer and creative partner of Walter. This book chronicles the lives of these two incredible people, both as individuals in their own right and as a partnership. Sheila Fitzpatrick is the daughter of Australian author, journalist and historian Brian Fitzpatrick. From a young age, her father teaches her to think critically and as an adult she uses this critical thinking to paint a portrait of her father and her family life. As her girlhood adoration for her father turns to skepticism, she flees from Melbourne to Oxford to start a new life but finds that it is not so easy to escape being her father's daughter. Anna Goldsworthy recalls her life in music from childhood lessons with a local jazz muso to international success as a concert pianist. Along the way she learns far more than tone and technique - she learns about ambition, success, doubt and disappointment. This is the story of the getting of wisdom - tender and bittersweet. There is probably no other psychologist who has aroused such contrary reactions from the public and from the scientific community as Hans Eysenck. Playing with Fire is a full length biography of Eysenck's career starting with his childhood growing up in Germany, the origins of his key ideas and the clashes he had with his various opponents. This is a provocative book about a provocative man. Library & Information Week 2011 - Plenty of 'Stuff' to Be Found. Librarians are great at finding 'stuff'. These days, there is a lot more information to be found, especially on the internet. A simple Google search for 'flowers' will return millions of results. Figuring out which results are helpful and which are leading you up the garden path (figuratively) is another issue! That's where your local librarian steps in! Your librarian can sift through the unwanted or untrue information to find the 'stuff' you are looking for. Sometimes it's as simple as looking it up on the library catalogue and going to the correct shelf, other times your librarian will find 'stuff' you didn't even know you could get, either online or in the library. We're showcasing some of the excellent resources Shire libraries can provide the community in a range of activities for Library and Information Week, May 23-29 2011. Click on the links to find out more about each these free activities and to book online. The library website has had a makeover! Features of the new website and online library resources will be explained in easy to follow sessions held at Menai library. What is an e-reader? What brands are out there? Can I borrow e-books from the library? We're answering all these questions and more in easy to follow free information sessions during Library Week. It's on again! A huge range of fiction and non-fiction books for sale. Register your team online for a night of laughter, prizes and trivia. Free snacks and drinks for all attendees. All around Australia children's book 'Feathers for Phoebe' by Rod Clement will be read aloud! Head to your local shire library to take part. Wear your pj's, bring your teddy and head to Menai library for this special storytime. No need to book, just turn up.